Does PureVPN Really Keep Logs? PureVPN is a well renowned VPN service. With head-quarters in one of the most privacy friendly countries in the world, Hong Kong that is, PureVPN promises privacy and security to its users. According to what we’ve read, PureVPN started off in a humble manner. Initially operating from inside a basement, the service offered access to a few servers that guaranteed online privacy and internet freedom to its users. As time went by, the service grew exponentially as it bypassed some of the best VPN services in terms of the number of servers it offers and the privacy and security features that it provides to the end user. Currently, the service offers access to 2000+ servers which are spread out across the globe. These servers are physically present in over 140+ countries, which guarantee complete internet freedom to the users. With a network footprint this big, PureVPN generally charges less than most of its competitors. As per our research, these specialized servers really do provide access to some very necessary and useful features such as military-grade encryption and protection against DDoS attacks. 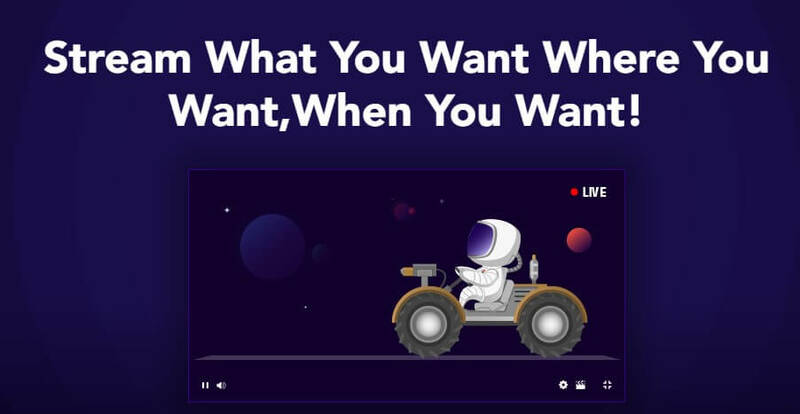 Other than that, the service offers some more advanced features, known as Ozone, which guarantee complete privacy and security to the end user. PureVPN is even offering its own Router device, which they refer to as Wouter, which dedicatedly works to improve user security and privacy while guaranteeing complete internet freedom. We’ll follow up on this in later sections. While PureVPN has had its fair share of controversies, we have looked up to all these and can confirm that these were completely blown out of proportion and weren’t as bad as they initially seemed. More on this later. Overall, we want you to know that we are completely satisfied with PureVPN as a service that provides complete internet privacy, anonymity, security and freedom to its users. Written below is an in-depth review of the popular VPN service which we think is the best of the lot. Offers a server footprint of 2000+ Servers in 140+ countries! When you’re browsing on the internet, your web traffic passes from your local IP to your ISP before moving on to the website servers you’re visiting. This method of browsing the internet is insecure and violates your privacy. Your ISP can easily track the websites that you’re visiting, and the websites you visit, in turn, keep track of the rest of your online movements through cookies and IP tracking. With a VPN, you can avoid this method of browsing the internet and use a more secure and privacy oriented method to surf the web. When you use a VPN, your online traffic travels through encrypted tunnels to the VPN service’s secure servers before heading out to the website that you want to visit. This means that your ISP, the website you visit, or anyone else for the matter won’t be able to monitor your web traffic. And even when they do, they’ll be monitoring an IP address that does not belong to you and is probably being used by thousands of other VPN users, camouflaging your web activity in the process. Because your online traffic is encrypted, this means that even the best hackers, or surveillance agency cannot read through your web traffic. This also helps when you’re using a public Wi-Fi network. When you’re connected to a public Wi-Fi, the network you’re using is also accessible by other people. Any bad guys who are connected to that network can hack into it to see your web traffic or trace your movements on the internet back to you. The next time you use a public Wi-Fi network, such as the one at your local coffee shop, you might want to fire up a VPN to make sure no one is snooping on your movements. While VPNs are the perfect tools to ensure your online privacy and security, they also provide you with complete internet freedom. In countries with oppressive internet policies, activists and journalists often rely on VPN services to bypass government censorship and be in contact with the outside world. VPNs are also used to access geo-restricted content, such as the BBC iPlayer and Netflix streaming services. There will be more on this written below. A VPN provides cross-platform security for all devices in your household. While many consider Tor as a good alternative for online privacy, Tor is definitely not at the same pace with a Virtual Private Network. Like many other important pieces of technology, the concept of onion browsing, currently being used by tor, was first proposed by the US Navy to make their own communications anonymous. However, the project is now being run by a non-profit, privately funded organization. Despite this, Tor receives much of its funding from the US government. Despite being a privately run project, Tor has received huge funding over the years from the US government. It received $1.8 million from the US government in 2013 alone. Tor states that these funding do not produce any sort of influence by the government on the operation of this project. Tor is handy, but it’s far from perfect. Just because you’re using Tor doesn’t make you completely anonymous. Law enforcement and surveillance agencies can easily infiltrate your network. Tor admits that it can’t solve all your anonymity problems and can only concentrate on a few. Your IP address is no longer hidden if you’re using BitTorrent client through Tor. It changes your security settings if you’re using any other browser while using Tor. Exit Nodes (relays) on Tor can put your online anonymity at risk by revealing (decrypting) your traffic path. It’s very easy to infect Tor software, revealing important information in the process. ISPs are not friendly with Tor users. Security agencies and hackers from around the world are already working to expose Tor users. You may have heard the quote that if you’re not buying the product, then you are a product. Tor is free to use, but you never know if the vulnerabilities in their product is making you into a product. Therefore, our verdict is that a VPN is definitely better than Tor. PureVPN does not offer a free, or a trial version of its software. If you want to use the service via your phone, or via the Desktop app, then you will have to pay for the VPN subscription. However, those who want to use PureVPN Chrome and Firefox extensions can do so for free without having to pay for anything. The free versions of PureVPN Chrome and Firefox extension offers unlimited bandwidth on limited servers. While these servers can be used for internet freedom, users will not get access to servers which are specifically optimized for streaming. To get these features, you’ll have to subscribe to PureVPN which not only offers complete access to all the Chrome and Firefox extension features, but also lets you use PureVPN’s feature-filled apps on any device you want. There are three different pricing plans to choose from. Step 1 – You have to choose your preferred package and select your required Add-ons. Step 2 – Then you will need to create your account, or enter previous login credentials if you are a returning user. Step 3 – After choosing your preferred payment method, you’ll be redirected to the relevant gateway. Once this process is completed, you will receive an email that contains your VPN login credentials. Entering these credentials into your PureVPN client app or extension will allow you to use PureVPN and its services. Our PureVPN review shows that the service accepts over 50 different payment methods. These include Paypal, Bank Transfer, credit cards, Bitcoin, Alertpay, and Paymentwall. This indicates the company’s desire to remain on top of developing e-commerce trends and provide the best convenience to its users. PureVPN’s partnership with Paymentwall caters to customers who wish to try paying with other e-payment methods such as AliPay, Ukash, CashU, Giropay, Necard, Webmoney, Yandex, PaySafeCard, Mercado Pago, Todito Cash, Mol Points, NeoSurf, Dotpay, MyCard Wallet, Qiwi, iDeal, and others. 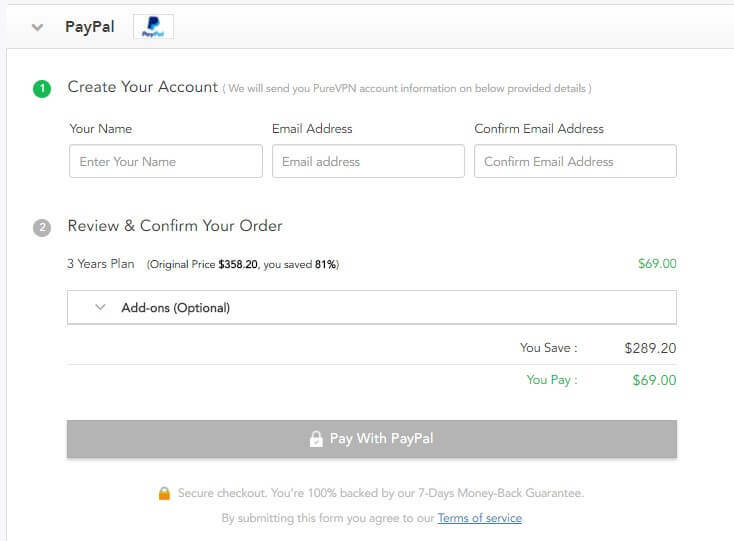 Selecting PayPal as your payment option will redirect you to a different gateway where you can enter and confirm your PayPal account details so that PureVPN staff can process your order. Selecting Bank Transfer will open a fully prepared invoice with all the relevant details that you’ll need to make the bank transfer. 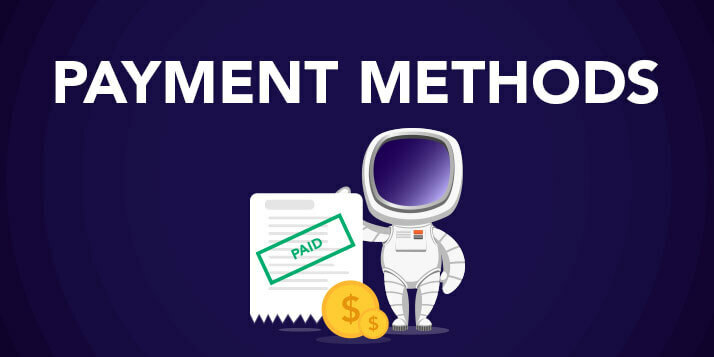 Selecting Paymentwall will forward you to the gateway of the monetization platform from where you can either make your payment using Paysafe Card or via a Paymentwall powered bank transaction. Selecting Payza will forward you to Payza’s Member Check-Out page. Your selected order details will be visible on the right side of the screen. You can then log-in to complete the payment transaction. Our PureVPN review analyzes that the service offers an exclusive 31-days money back guarantee to its subscribers. If in case you’re not satisfied with PureVPN, you can claim a refund of the subscription fee within 31-days of buying the service. According to the PureVPN review, the service gives special focus to its performance in terms of the downloading speed. Because a big nucleus of PureVPN subscribers use the service for online streaming, the service makes sure that they get the best speeds while they are at it. PureVPN has setup specialized servers for online streaming. If you use the PureVPN apps, you’ll notice a feature named “Purposes” inside the app. Clicking on this feature will open up a list of purposes for which you want to stream the PureVPN app. If you’ve already selected the “Streaming” mode, then these “purposes” will be related to streaming only. If, for example, you want to stream BBC iPlayer, you just have to choose Streaming mode and click on BBC iPlayer in the purposes section. The app will automatically connect you with the server specialized for BBC iPlayer streaming and will not only let you access the channel from anywhere, but you’ll also get the best speeds possible. You’ll learn more about this in the Speed Test section below. PureVPN review unveils that the service is one of the most secure VPNs available. Access to military-grade encryption, robust online protection, and the availability of comprehensive tunneling protocols list make PureVPN the best option for internet security enthusiasts. Subscribers can also opt for OpenVPN protocol which is considered the best security protocol. The OpenVPN protocol allows you to keep your online traffic private and away from the eyes of ISPs and online hackers. OpenVPN protocol applies the 256-bit military grade encryption by default, securing your online communications to the fullest. Therefore, there is no denying PureVPN is a good choice as a privacy friendly service which puts big focus on users’ online security. In addition, users also receive efficient customer support service which is available 24/7 365 days a year to deal with any complaints, emergencies, or queries. For a brand that wants to leave its mark on the planet, PureVPN is doing all the right things. This includes its official website. Our PureVPN review highlights that the official website of PureVPN gives it a clear edge over its competitors. This is because of the ease and convenience with which you can get your desired information by exploring different subsections provided in the site. 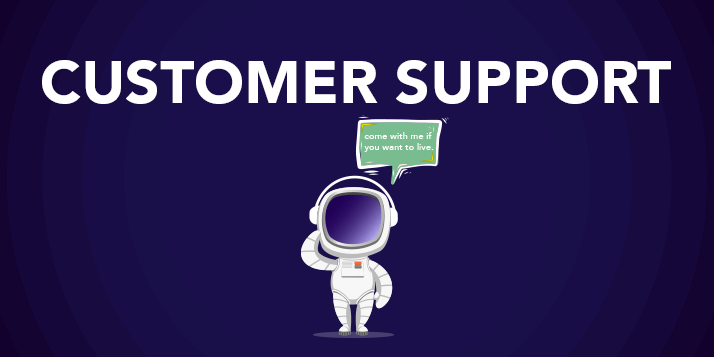 Moreover, there’s a dedicated customer support section that can be explored to attain answers to your queries. These can be related from trouble shooting to account activation issues. Overall, the website offers detailed oriented FAQs alongside Knowledgebase subsections. These subsections provide complete insights about the different attributes of PureVPN service to users straightaway. “Whether you’re streaming content, or want to unblock geo-restricted websites, or share files, the app makes it really simple to switch between modes. Advanced users also have access to features like split-tunneling, which lets you choose where to route your data through (either through your ISP or VPN). TechRadar is another major publication that described PureVPN in glowing words. 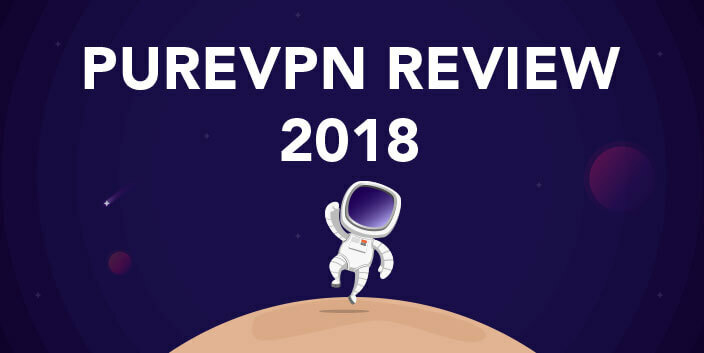 The famous technology review website evaluated the performance of PureVPN in full detail. Here is a screenshot of its final verdict of PureVPN review which was only recently published on TechRadar. PureVPN made news last year when it was discovered that the company handed over the logs of a particular user who was suspected for cyberstalking to the FBI. That person was later charged by the FBI, but the reputation of the VPN service was questioned by many. In response to all the questioning, the VPN service published a blog post detailing the incident in complete detail. What turned into a really big scandal was actually a misunderstanding on the part of people who thought that the VPN Company keeps browsing logs of its users. What the company did keep, and what was subsequently shared with the FBI authorities, were timestamps, which have no relation with a users’ browsing activities. Timestamps only associate with the IP address, connection initiation and disconnection from the VPN servers. They are only kept to monitor the performance of the VPN servers, and are random numbers on the part of the users which do not tell anything. 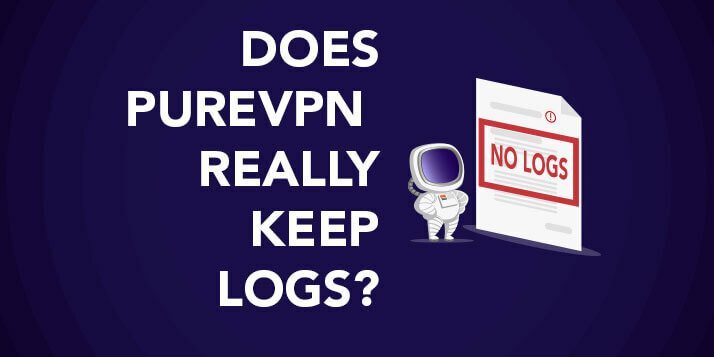 To maintain customers’ trust, PureVPN mentions that the connection logs they keep don’t include users’ original IP address, the VPN IP they are using, the specific time they’ve connected to the VPN server or any activities that they do after connection. It’s now time to discuss the features provided by PureVPN. As discussed earlier in our PureVPN review, the service is one of the very few leading VPN services in the industry and it is fairly rich in the best features and functionalities. The best feature of PureVPN is its massive global presence. When it comes to the server network, PureVPN has got 2000+ servers. These servers are equipped with the best technological advancements to provide the best speed, performance and security. Moreover, this network of servers is spread across 6 continents and in over 180 different locations. This huge pool of servers in many different countries gives PureVPN an edge over most other VPN services in terms of universal accessibility. In other words, the more number of servers a VPN service offers, the more the unblocking capabilities and online anonymity a user gets when connected to them. Furthermore, this large number of servers also make way for the best server speeds from any location. If you are connected to a VPN serverwhich is nearer to your own country, you can rest assured that you’ll get the best ping and server speeds with PureVPN. Like many other VPN providers, PureVPN also offer unlimited bandwidth to its users. They believe that if you are paying for a premium service experience, then it wouldn’t be called a premium experience if there are restrictions on anything even if it comes to using the amount of bandwidth. When you look for a VPN service, make sure that you always look out for the bandwidth limit if there is any. Streaming and downloading are the top and most popular use cases of a VPN service. But if a VPN service provider doesn’t provide complete bandwidth usage, then buying a VPN at hefty prices won’t give any benefits because of the obvious fact that streaming and downloading consumes too much bandwidth. We used PureVPN to its fullest extent and we haven’t yet come across any bandwidth limit issue. Therefore, we can safely pronounce that the VPN service delivers fully on its unlimited bandwidth promise. Extending the above discussion, it would be awful if a VPN service offers access to many VPN servers but puts a limit on the number of server switching. When you become a premium user of PureVPN, you can use any server location of your choice and you will also have complete control on the number of times you want to switch the server of your choice. This is one of the best things that we have come across when performing our PureVPN review. It also helped us in finding the best server when it comes to the online browsing speed. Most VPN services do not offer multiple login capability. With the lack of any such capability, users have no other option but to buy different separate accounts for separate devices. Fortunately, PureVPN offers multi-login capability on up to 5 different devices. These features are incredibly important because they help in saving costs and provide the best convenience. A single PureVPN account can help you power up to 5 different devices. We already know that majority of the VPN users are those people who want to access blocked content in their country or region. This is why Universal Accessibility is an important feature when it comes to using a VPN service. Luckily, our PureVPN review helped us analyze that the service offers one of the best universal accessibility features in the industry. The VPN service offers one of the best unblocking capabilities allowing users to access over hundreds of thousands of websites that are either blocked due to regional restrictions or government policy. In fact, our PureVPN review also analyzes that we can unblock and access over 100s of top streaming services that are otherwise plagued with regional restrictions due to licensing issues. These services include Netflix, Hulu, Amazon Prime, Italy SkyGo, and many more. If you are using a VPN service for the first time, you probably will not recognize the benefits of using Split Tunneling. You might wonder what split tunneling actually is and why would you need it. There are plenty benefits of using Split tunneling when it comes to using a VPN service. First of all, as its name suggests, Split Tunneling is a feature which involves the splittingof online traffic between the VPN and the normal ISP. For instance, if you want to use VPN to unblock a website, but at the same time, you also want to access an FTP site that won’t be accessible with a VPN, the you can use the split tunneling feature to open any blocked websites through VPN while accessing the FTP website through your regular ISP connection. Split Tunneling is anawesome feature which is adored by gamers and streamers alike. The split tunneling feature allows users to put a perfectly balanced load between VPN and the ISP for the best VPN experience. Internet Kill Switch, or IKS as it is generally referred to, is an amazing feature that every good VPN service must offer. And we are pleased to see that PureVPN realizes the importance of this feature and offers this feature to the users. The IKS feature gives users 100% anonymity at all times while they are using the internet, especially if there is a VPN connection drop. It is because of the unusual connection drops that leaves users visible to the ISP for a minute or two. But, with the Internet Kill Switch feature, users can maintain privacy even when there is a drop in connection. The IKS feature immediately kills any VPN activities in the event of a connection drop. PureVPN offers an exclusive set of advanced features which are best for maximum online security and parental controls. The term Ozone confused us too. However, after going through this website and after using its feature we’ve come to understand its full benefits and potential. Malware have always plagued the internet and is gaining terrible strength in these years. There are many websites that are loaded with malware and these keep waiting for users to access them so they can infect their devices. You need malware protection to overcome such security threats. This is where PureVPN comes into the picture. The service offers an Ozone add-on which offers server-level malware protection. Unlike the traditional antivirus applications which identified and removed on device threats, PureVPN’s antimalware protects devices from the onset, i.e., the feature prevents websites, applications or services from sending any malware. As a result, users can surf through any website on the Internet with complete peace of mind. No one wants intruders inside their home. Similarly, you wouldn’t want intruders to enter your system because they can steal your data and use it for illegal purposes. The IDS/IPS feature generally stands for Intrusion detection system and Intrusion prevention system and it keeps all intruders away from your device and from your privacy. The IDS and IPS is a very intelligent feature that keeps every type of intrusions at bay. URL Filtering feature is an awesome parental control tool for any parent who is worried about their children coming across any explicit content on the web either accidentally or intentionally. The feature allows parents to prevent websites that contains any sort of explicit content from opening on your device. When you visit the URL Filtering settings it will open up a new window screen on the browser from where you can find even more categories that you want to block or unblock. The URL Filtering feature is best for for many more purposes. For instance, office users can use this service to block such websites that can affect the employees’ productivity such as Facebook and YouTube. Content Filtering, also known as Ad-blocking, is another awesomefeature by PureVPN. Nobody wants pop ups of advertisements to ruin your online browsing experience. These pop up ads are annoying and are also harmful for the device as well as for the users. Some pop up ads lead to malicious websites and some lead to scam websites. In any case, it is best to avoid these advertisements. PureVPN content filtering feature is another server-level feature that helps you blocks ads. As its name suggests, the app blocking feature blocks the internet access to any application of your choice. This way users can prevent apps that have low-privacy standards from opening. Apart from unblocking and anonymity, another most important aspect of using a VPN service is to get the best online security features. As we have discussed earlier that encryption is one such technology that a VPN uses to protect and anonymize the traffic that transmits to and from the user’ssystem. There are some other security aspects as well that users should know about when getting a VPN service. Encryption comes in different forms. There is 128-bit encryption, 256-bit encryption, and so on. The higher you go, the more secure your connection will be. However, a higher level of encryption or double encryption slows down the browsing speed. The 256-bit encryption technology is by far the most efficient encryption which is available and that offers best security and speed. It is a known fact that the same level of encryption is also used by military agencies. PureVPN uses the military-grade encryption, which is the 256-bit AES encryption. With AES encryption, you are rest-assured that not a single byte of your data will be insecure. We’ve discussed earlier that Ozone is a set of advance cyber security features. However, these features don’t aren’t built-in but work like an add-on. You’ll have to pay a few more bucks more to add them to your desired pricing plan. The Ozone feature provides malware protection, website filtering, intrusion detection and prevention system, app filtering and ad blocking. Encryption requires security protocols to work. There are many types of protocols that are being offered by PureVPN. The most commonly used protocols include SSTP/IPSec, PPTP, IKEv2, OpenVPN, etc. PPTP protocol is by far the fastest protocol available. This is due to the fact that it offers low encryption, i.e., 128 bit encryption. It is the best protocol for people who prefer speed over security such as streamers, gamers, etc. Likewise, IKEv2 is the strongest protocol in the inventory. It slows down speed which some VPN users might not like. In terms of a balancebetween speed and security, we would recommend the OpenVPN protocol. It is available on different operating systems as well as many devices. PureVPN maintains a good knowledge base from where you can find easy to-do tutorials to set up the protocols manually. If you are not tech savvy, we recommend that you use the automatic protocol feature. The feature leaves the protocol selection to the VPN app which then finds and connectsyou with the best protocol. NAT (Network Address Translation) Firewall is an add-on feature offered by PureVP. It offers an additional layer of security to the end user. NAT Firewall is an amazing feature that provides you with the maximum level of security against unrequested connections, malicious incoming traffic, exploits, and other online threats. Though it provides maximum security, the add-on isn’t a necessary one for the individual user. But it is a necessary security feature for corporate companies. It helps corporate users by securing their devices against the many OS leakages that are commonly targeted for security breaches. Like the pricing plan, the add-on is also available in three different price-sets, each depending on the number of months, or years, the user wants to use this add-on. DDoS (distributed denial of service) attacks are growing stronger each year and are ruining businesses in their wake. These attacks aren’t just common in business settings, but are also targeting individuals, especially gamers. For instance, online gamers often cause DDoS attacks on other gamers to cause disruption in opponent’s system and win the game. It is therefore important to have a tool that can help us in protecting our system as well as our data from DDoS attacks and make the internet a safe place. For this purpose, PureVPN offers DDoS protection feature as well. The VPN service offers this feature as an add-on to the complete package. The price of this add-on remains same on all three pricing plans. Customer support is an integral part for any business. A diverse and efficient customer support system always assures the customers that the company is serious about its business and takes customer convenience and satisfaction seriously. Keeping the significance of online customer support in mind, PureVPN ensures that it delivers the best and efficient support service to its VPN users. 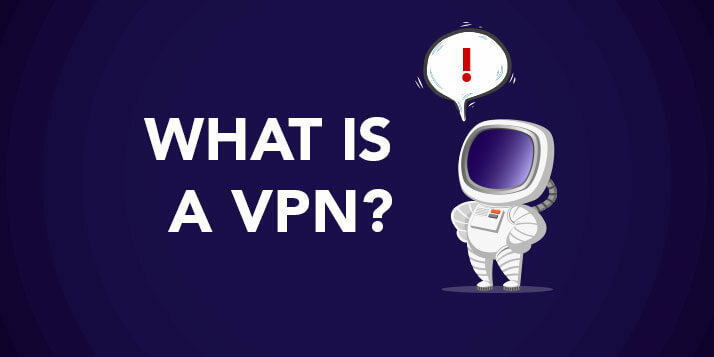 For this purpose, the VPN service has created a diverse infrastructure for its support system which is composed of the following branches: Live Chat, Support Ticket, FAQs and Support Center. PureVPN offers 24/7/365 live chat support to its users. This live chat system works at all times and isn’t plagued with annoying bots like we see with other companies. This support system offers the fastest response whenever you chat with the team, be it at any hour of the day. Customers’ queries and concerns are always solved without fail. Any low to moderate problem is solved within a single chat session. For instance, if you’re having problems in the setup process or require troubleshooting with connection, the support agents solve these problems within minutes. However, if the problem is more complex and is related to customer’s account, the support agent might take a little longer to solve it. In this PureVPN review, we’ve discovered that PureVPN puts utmost focus on customers’ convenience and goes above and beyond to solve customers’ queries or concerns in the least possible time. The best thing about the Live Chat system is that it can be engaged on almost all the pages of the website. It gives the service as well as the customers the convenience to identify and solve the problem at the right time with zero hassles and confusions. The Live chat support works in a fairly simple manner. First of all, you have to choose whether it is a support query or a pre-sales query. Once you click on start the chat, you will instantly get connected with a support agent. Another way to get in touch with the customer support agents of PureVPN is through support tickets. The support ticket can be created at any hour of the day and can be used for solving any billing related problems, technical support as well as and other general complaints. Furthermore, users can use the support ticket system to request any other type of assistance as well. For instance, users can ask for specific support related to reseller or any other business plan. Best of all, you get immediate response, same as you get during Live chat conversation. It is a norm today amongst online services to offer a Frequently Asked Questions (FAQs) section on their website. You can find a good number of FAQs on the PureVPN’s website as well. The FAQs page provides answers to all the VPN related questions that customers want answers to. You can also say that Support Center is the knowledge base where customers can find everything related to PureVPN including commonly asked questions and answers, tutorials relating to the VPN setup on different devices or operating systems, manual setup guides, account and billing related knowledge, use cases, and more. 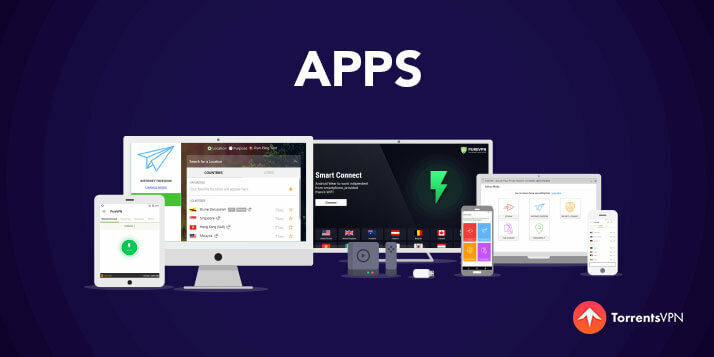 In our PureVPN review, we have found the service as one of the most highly compatible VPN application on a wide range of devices. You can download the app easily on your desired device from the Download page of PreVPN’s website. Windows is the most used operating systems in the world, which is why it is obvious to expect aPureVPN application for Windows. PureVPN offers a compatible application for all the versions of the Windows including the latest Windows 10. Windows 10 is notorious for security vulnerabilities and with PureVPN, users can expect a completely secure and anonymous internet experience. Users who are okay with installing the application on their Windows OS can download the app from the Download page of the website. However, those who don’t want any added application on their Windows can install the VPN manually on their OS by following a setup guide available on the support page. If you use aMac OS, you’ll be delighted to hear that the PureVPN application works efficiently with the Mac devices and all versions. With the availability of 5 different logins, you can easily use the same credentials on all your Mac devices as well as other devices that are using different operating systems. With PureVPN’s Mac application, you can stream your favorite content easily on your Mac device, unblock restricted content, websites and streaming portals, and secure your Mac data from all cyber threats including hacking, spying, spoofing, etc. Another feature which might sound sweet is that you can use PureVPN’s dedicated IPs on your Mac devices and enjoy complete control over your browsing and internet experience. You can get the dedicated IP through the add-on selection that you can be seen when filling out the payment details on the order page. For this PureVPN review, we’ve checked the VPN service on the Android devices and found that the VPN application works fine across all different Android versions. The Android application of PureVPN can easily be downloaded from the Download page of the website. Secondly, users can also find manual setup guide for different protocols from the support page. The VPN service performs seamlessly across different Android devices, while also offering 99.9% uptime. Best of all, you don’t have to be worried about the bandwidth at all cause the VPN service comes with built-in unlimited bandwidth system. Furthermore, due to unlimited bandwidth and ISP throttling protection, we have noticed faster browsing, streaming and downloading speeds on the Android device. The military-grade encryption also ensures that your Android data is protected against cyber security threats. Another benefit of using PureVPN on Android is that the application allows you to unblock over hundreds of thousands of websites including all your favorite streaming services that are otherwise blocked in many regions. These include Netflix, Hulu Live, Sling TV, and many more. We have also found that the VPN service is one of the best VPNs for unblocking the popular streaming services. Similar to other OSs and devices, PureVPN works perfectly well on the iOS as well. We have tested the VPN application on different versions of the iOS for our PureVPN review and found that it works seamlessly across all versions. 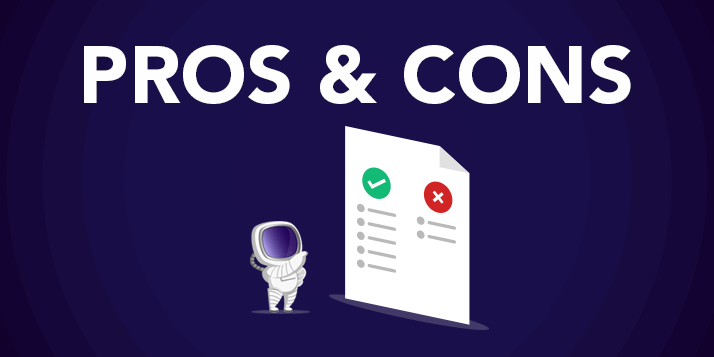 The iOS application comes with a convenient smart connect feature which lets users connect with an optimal server (in terms of performance and speed) on a single click. Apart from smart connect, the VPN application for iOS offers sleek user interface which is completely user friendly when it comes to online navigation. The iOS app also has Ozone features which include malware protection, IDS and IPS, content filtering, app filtering and URL filtering. In this PureVPN review, we have tested the PureVPN service and performance on the Linux system as well and have found that it is completely compatible with the Linux operating system. You will be amazed to hear that the VPN application for the Linux system packs a much better user interface which is completely straightforward and easy to use for all Linux users. Best of all, you get to use the same level of security and anonymity on your Linux OS as you get on the Windows system. Another part that you would definitely like about the Linux client is that it comes with different tunneling protocols. With different protocols at your disposal, you can set the security and anonymity level as per your needs while using the VPN service. The protocols available for the Linux system include OpenVPN, IKEv1 and 2, L2TP, SSTP and PPTP. It is important to note that the OpenVPN protocol on the Linux system comes with an option of both the 128 as well as 256-bit AES encryption. It also packs the 128 blowfish encryption. You can visit the support center page of the website anytime and search Linux for its guide. You will be amazed when you’ll find that the website has Linux VPN guide for Debian, Ubuntu, Mint, Fedora and CentOS. The chrome extension is available in both free and paid versions. Of course, the free version contains some limitations and in the paid you get zero limitations. For instance, in the free chrome extension, the VPN comes with a limited number of server locations. The positive point is that you can use the free version like a test drive. If you like the performance of the service, you can later opt for the paid version. The paid version of PureVPN chrome extension comes with access of up to 25 different server locations. While PureVPN’s desktop app comes with access to 2000+ servers in 141 locations, you won’t find all those servers in the extension. But the good part is that you can use the same credentials for the desktop version and get to use any server location of your choice. Another awesome thing about the extension is that you can unblock and access Netflix and Hulu easily from the paid extension. The chrome extension also offers an added feature that is the WebRTC leak protection. It is a must-have feature which isn’t offered by every VPN service, especially with the extension. This feature keeps your connection secure from WebRTC leaks. Both Chrome and Firefox extensions perform equally in terms of speed, connectivity, accessibility and stability. The FireFox extension is available in free and paid versions, which is similar to the Chrome Extension. In fact, the UI and functionality of both are similar. The extension can be downloaded from the FireFox add-on store. When it comes to online entertainment, Kodi immediately comes to mind. Kodi is an entertainment solution which is adored by streamers of all kinds. This is because Kodi has a diverse inventory of add-ons that allows streamers to find their favorite movies, shows, sports and other entertainment stuff under one roof and access them easily with a single click. Users who are looking to buy PureVPN will like when they hear that the VPN service provider offers an app for Kodi as well. 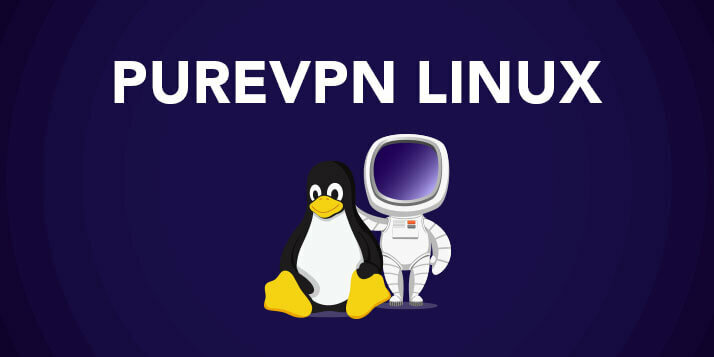 The VPN service has its own PureVPN add-on available on Kodi that lets users easily install the VPN on Kodi and access any geo-restricted content for unlimited streaming and entertainment. PureVPN also offers a compatible application for Android TV. Users can download the application easily through the Download page of PureVPN website. Anyone looking for the installation guide can check out the tutorial from the support page of PureVPN. If you are a FireStick TV user and if you are looking for a VPN service, we suggest that you to try out PureVPN application. The VPN service offers complete a setup guide for installing the VPN application on your FireStick device. We have tested PureVPN on the FireStick for PureVPN review, and we can say confidently that it works seamlessly with the device. Users of DD-WRT routers will find PureVPN compatible with the DD-WRT routers. Luckily for them, PureVPN offers an applet for the DD-WRT. The VPN service offers a complete setup guide on its customer support page. VPN services are often frowned upon when it comes to online speed and performance. The speed and performance is usually hampered because of extra security measures that a VPN service offers. 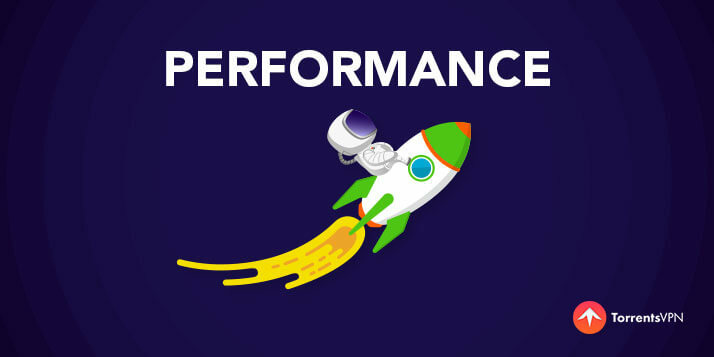 To check the speed and performance of PureVPN, we’ve tested it on reliable speed test tools. After our analysis via the speed test, we’ve found that the VPN service passes the speed test with excellent scores. Though there were few servers that performed slower during the speed test but there can be a number of factors involved behind the slowing down performance. What’s good is that the service offers perfect speeds on majority of its servers. Torrenting or P2P file sharing is a popular activity in which VPN users often indulge in. PureVPN is the best VPN application for seamless torrenting experience. When using PureVPN, users can not only access the torrent websites of their choice but they can also access the torrent clients and download their favorite movies, TV shows, and other entertainment torrent files with complete ease. The best part of PureVPN torrenting is that you get maximum downloading speeds when using torrenting files. Another good thing is that it lets you download unlimited number of files and applications due to its unlimited bandwidth feature. 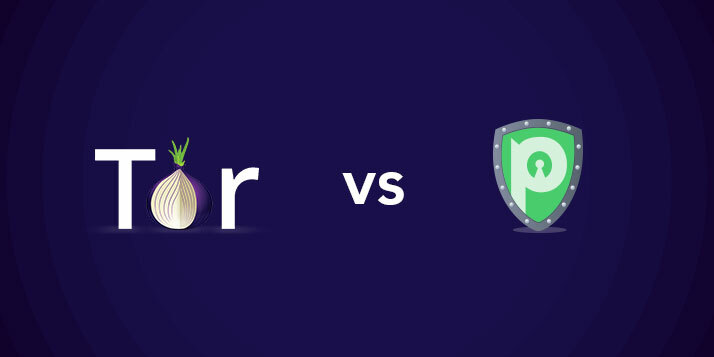 The positive part of using PureVPN for torrenting and P2P file sharing is that it offers a P2P protection add-on which is a must for regular torrenting users. The P2P protection helps users in downloading clean files and keep safe from malicious files or torrents at bay. PureVPN has got a massive pool of VPN servers which are optimized for streaming. When you connect to the streaming servers of PureVPN, you can expect a buffer-free streaming experience on all your favorite streaming channels including Amazon Prime, Netflix, Hulu, etc. As mentioned earlier, the unlimited bandwidth feature lets you binge-watch and stream videos to your heart’s content. Netflix is one of the most popular streaming service in the world. But its huge gallery of content differs from country to country. The most popular content gallery is currently offered by the US and UK versions of Netflix. However, due to licensing problems, users cannot access the US and UK versions of Netflix from abroad even if they have a Netflix subscription of these regions. While users can use VPN services to access Netflix from abroad, however, due to Netflix’s war with VPNs, a great number of VPN services have lost their IP pool to the Netflix ban and thus don’t offer access any more. Good news for PureVPN users is that they can access and watch US and UK versions of Netflix from anywhere in the world. PureVPN application is perfect when it comes to compatibility. As we’ve mentioned earlier, PureVPN offers a wide variety of compatible versions of its applications which include consoles and routers as well. Users often need a VPN for Xbox to not only download their favorite games that are on a country block but also to secure themselves against any DDoS attacks which are pretty common in online gaming these days, and to access and stream services like Netflix and Hulu on their Xbox device. Although the application can’t be directly installed but it can be manually setup through variosmethods. For instance, PureVPN can be installed on your Xbox console through your router device, where you’ll need to connect the console to your router. Similarly, PureVPN also runs on the Xbox 360 and Xbox One through Windows as well as Mac systems. There are more informative guides available on the PureVPN support center and the blog page frpm where users can learn more about the different methods. Similar to the Xbox 360 and Xbox One consoles, PS console users look for a reliable VPN service to access and download country-block games, access and stream blocked streaming services and to secure their consoles against security threats like DDoS attacks. Fortunately, PureVPN can be used on the latest PS3 and PS4 consoles through the router, windows and Mac device. When it comes to routers, PureVPN doesn’t just offer a complete manual setup guide for different routers but also offers a pre-configured router as well (FlashRouters). PureVPN is highly compatible with different ranges of routers that are available on the market, including less popular routers. When you visit the support center of PureVPN and check the routers category, you can find complete setup guides for all routers. You may find guides for DD-WRT, Tomato, D-Link, Belkin, TP-Link, MikroTik, Asus, DrayTek, as well. However, it is important for you to know that PureVPN can only be configured on routers that offer PPTP and OpenVPN protocols. In this PureVPN review, we have tested the service to its complete limit and have found little or no reason to give it less than a 5 star ratings for its speed, performance and accessibility features. The service offers a good pool of VPN servers as well as anonymous IPs. Secondly, it has servers in most popular regions in the world. Plus, it offers a plethora of features that can hardly be found in the top most VPN services in the industry. Best of all, the VPN service is affordable and offers different packages depending on the users’ needs. All in all, PureVPN is a great VPN service and we recommend it to the fullest!